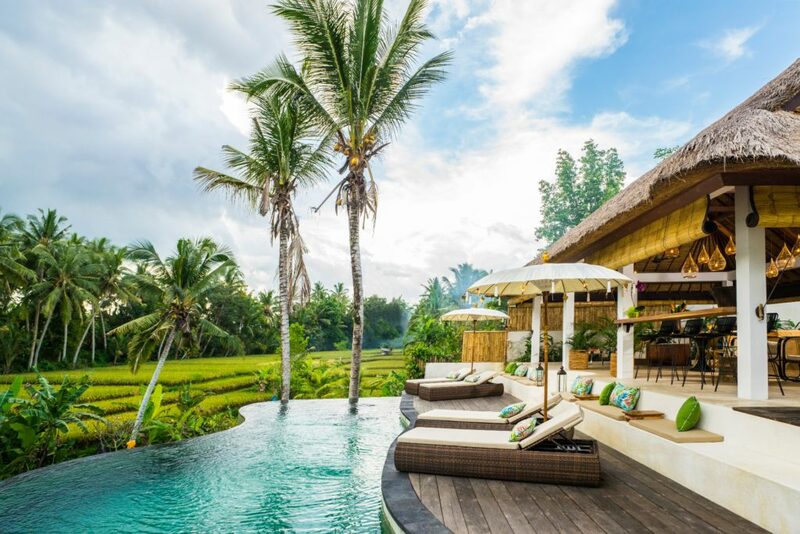 In a tranquil Balinese village minutes away from Ubud, a unique private resort sits effortlessly in nature, overlooking a lush valley, emerald green rice terraces and spectacular sunsets. 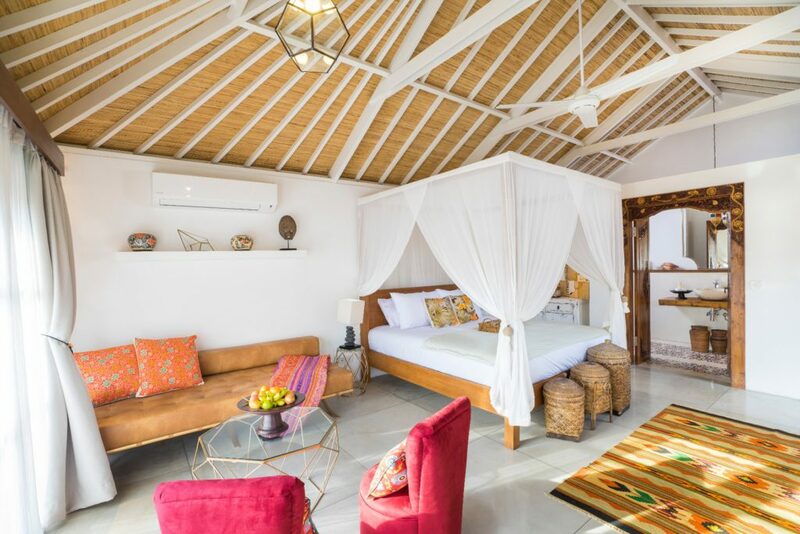 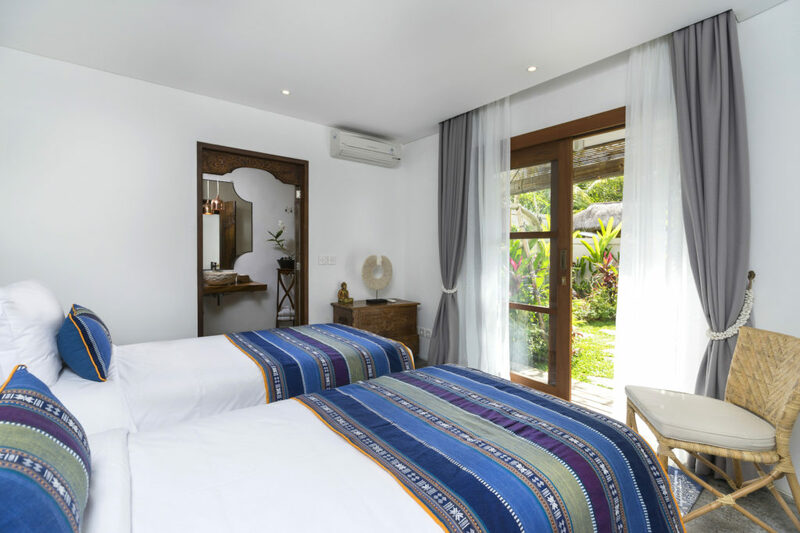 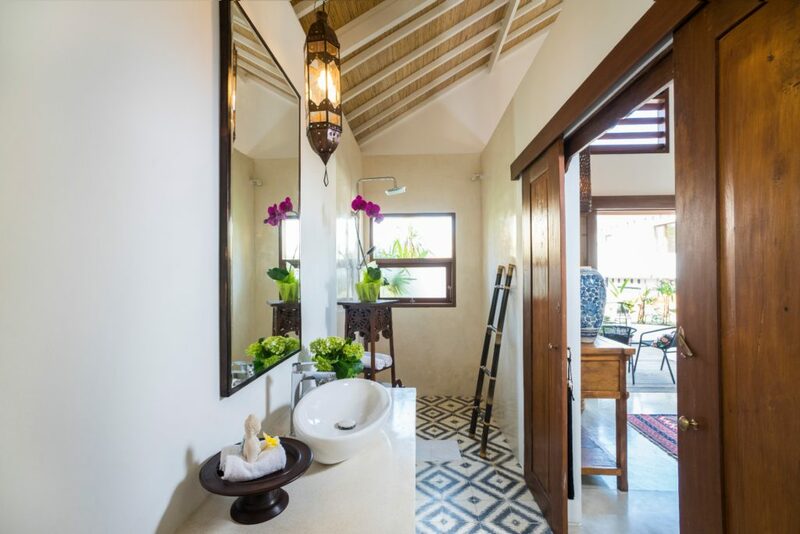 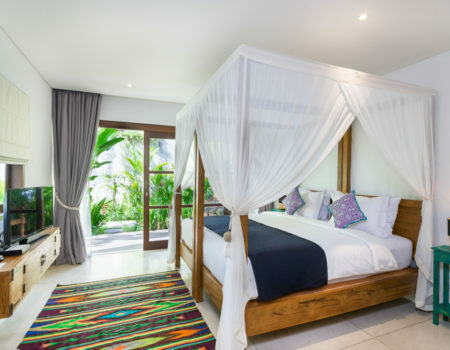 Calma Ubud epitomizes tranquility and serenity in an intimate haven that revitalizes all of your senses, where luxurious tropical island living is elevated with true Balinese warmth and hospitality. 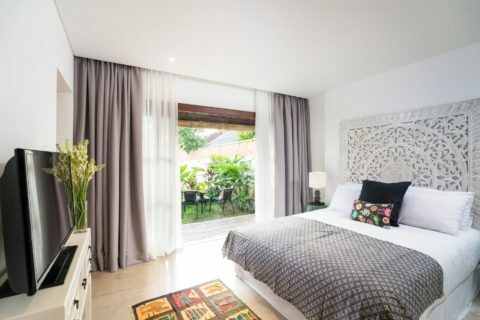 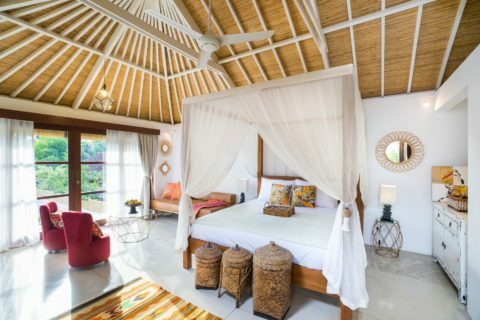 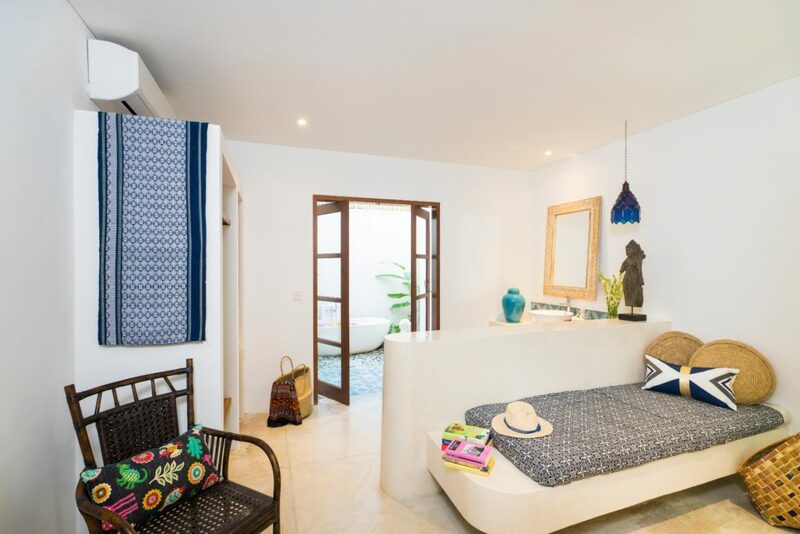 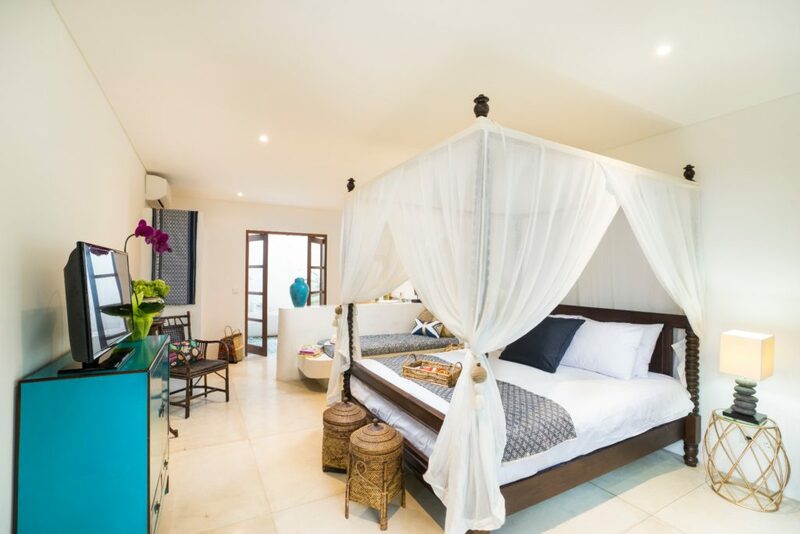 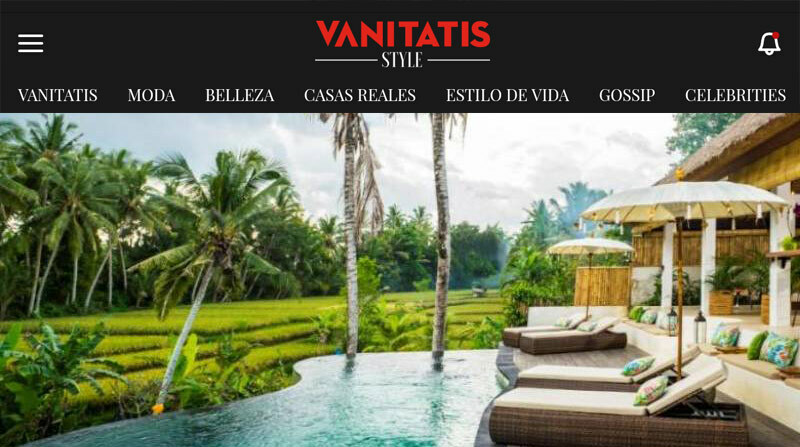 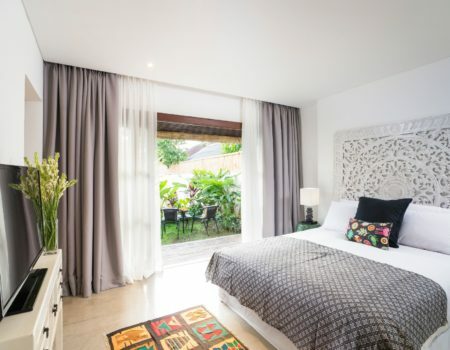 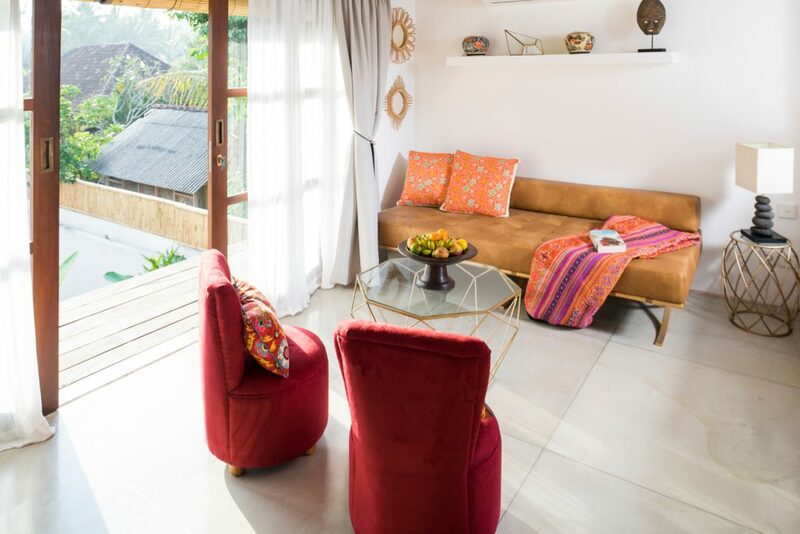 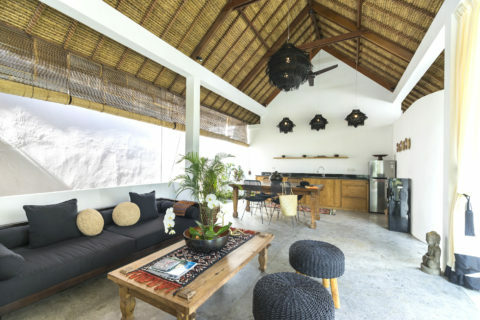 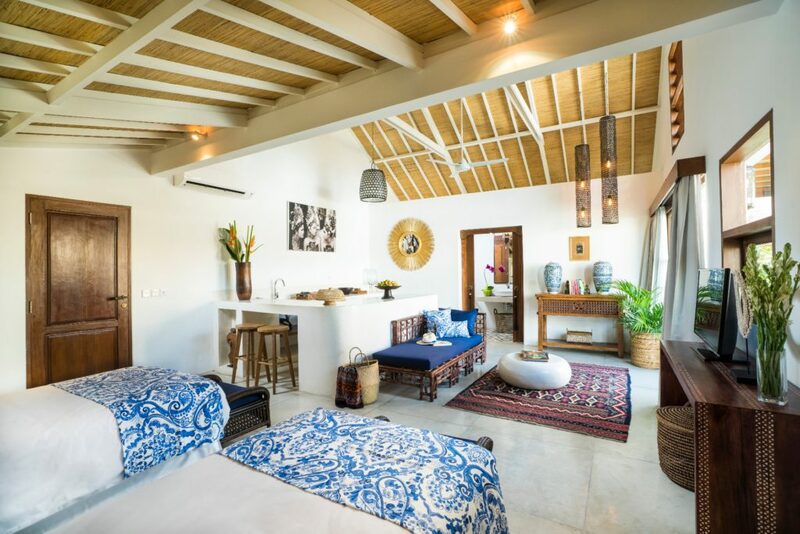 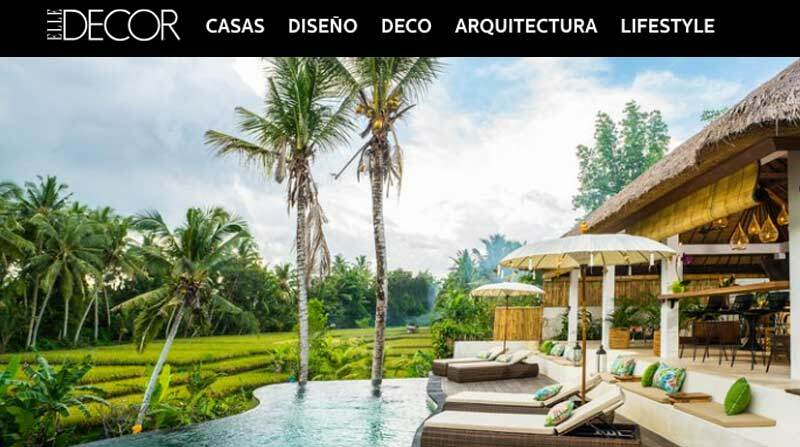 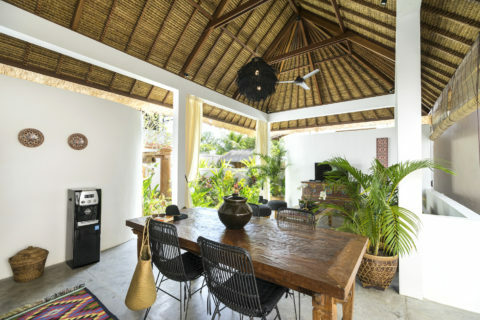 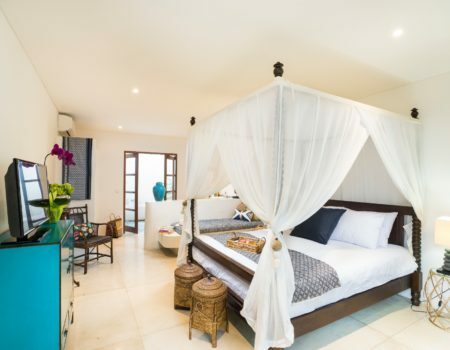 This is a part of Ubud that you are destined to fall in love with, your home away from home. 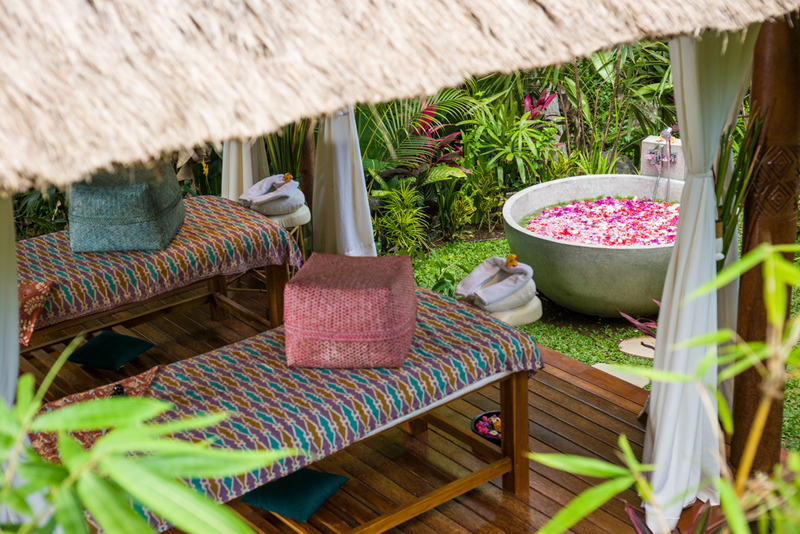 This is Calma Ubud, a sanctuary of calm in the heart of Bali. 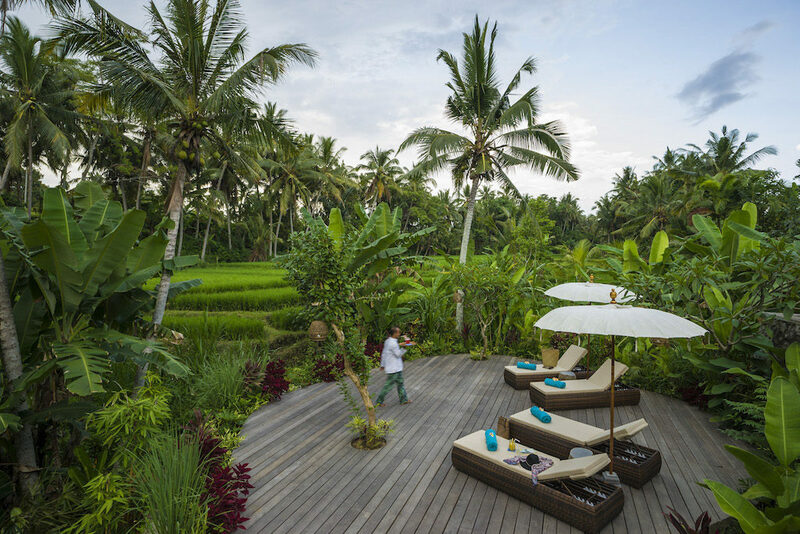 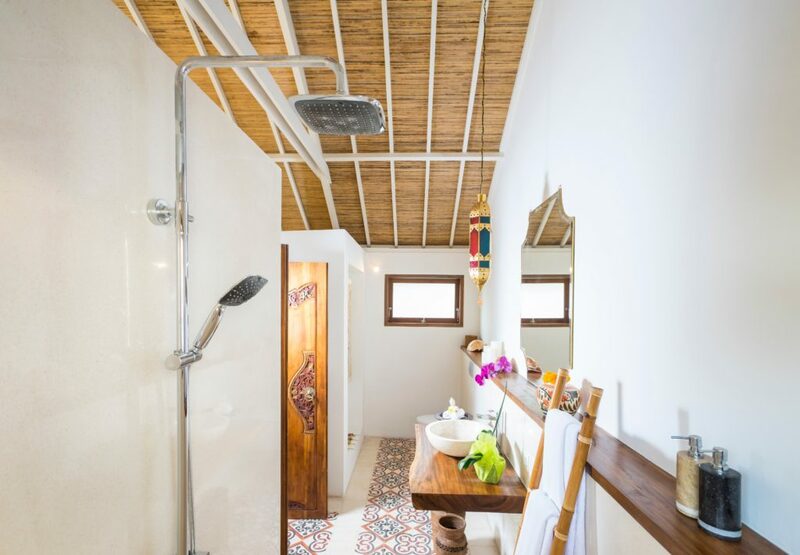 Calma Ubud is consciously designed to blend seamlessly with Bali’s natural surroundings, reminding us of that beauty lies in simplicity. 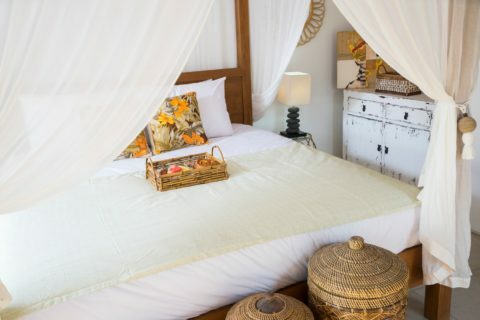 Comprising a total of ten individually styled guest rooms and suites, we encourage a warm and welcoming family atmosphere. 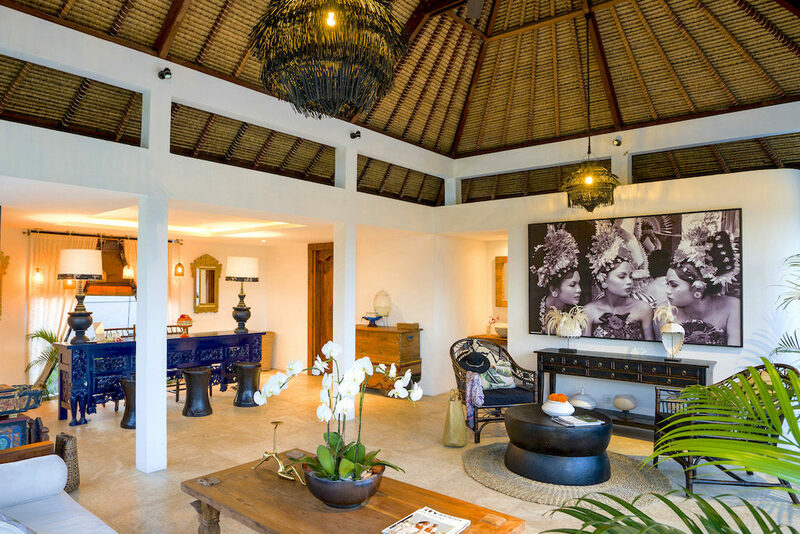 Our home is your home. 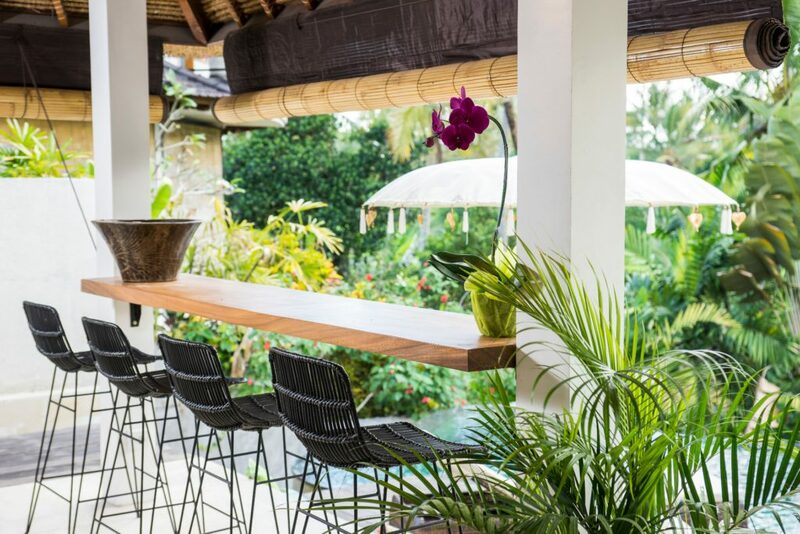 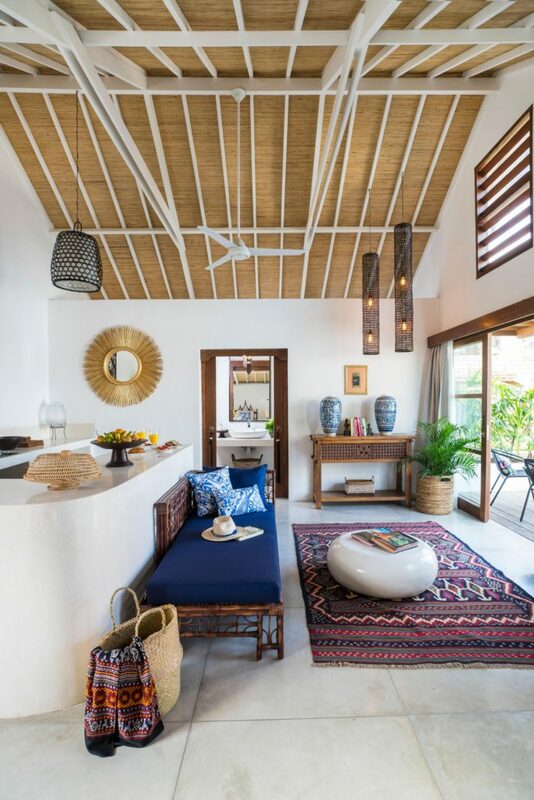 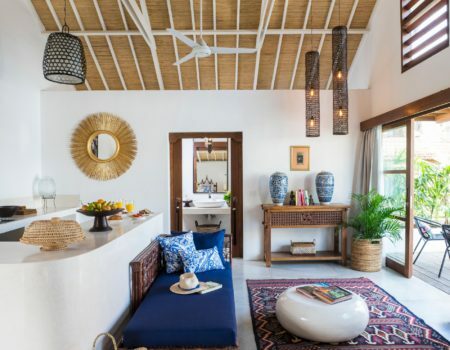 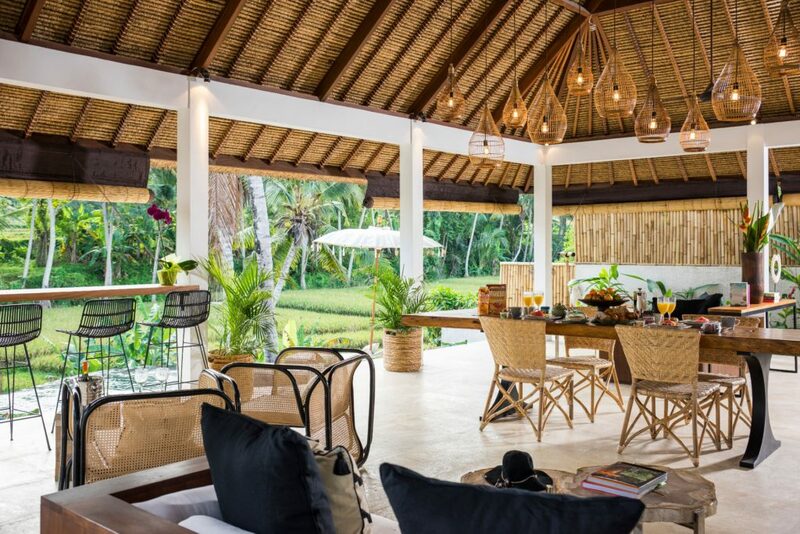 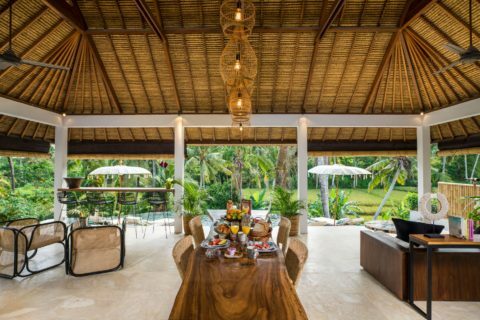 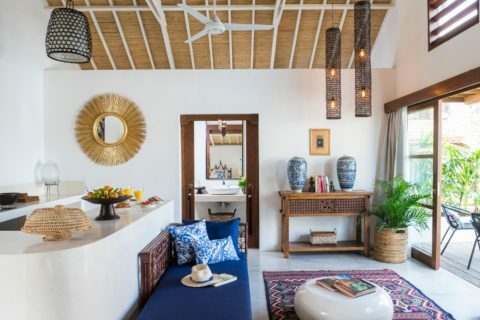 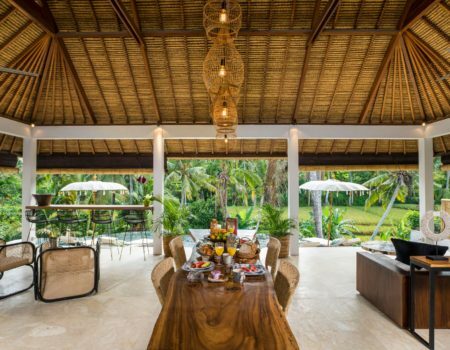 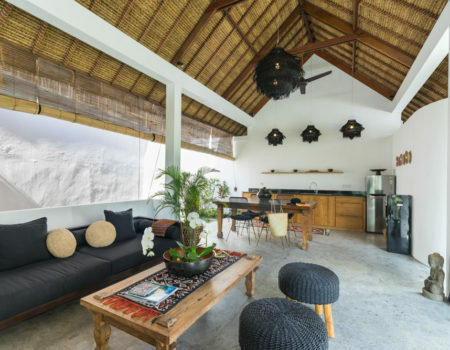 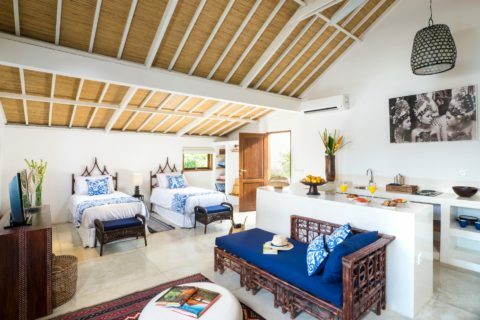 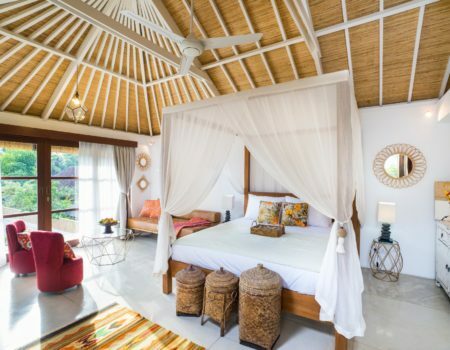 Marrying contemporary tropical architecture with touches of Balinese craftsmanship and careful attention to detail, an understated elegance permeates this piece of paradise. 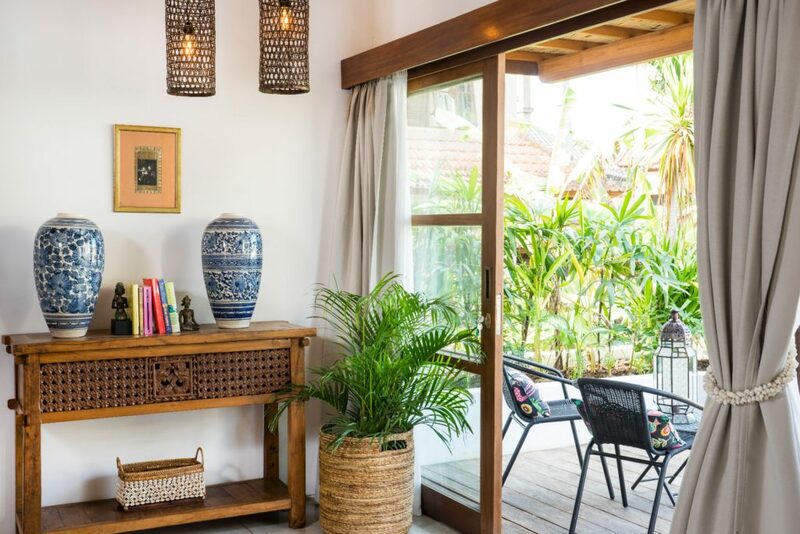 Inviting, serene and magical, Calma Ubud is a sublime retreat to unwind, reconnect with yourself and be one with nature in perfect calmness. 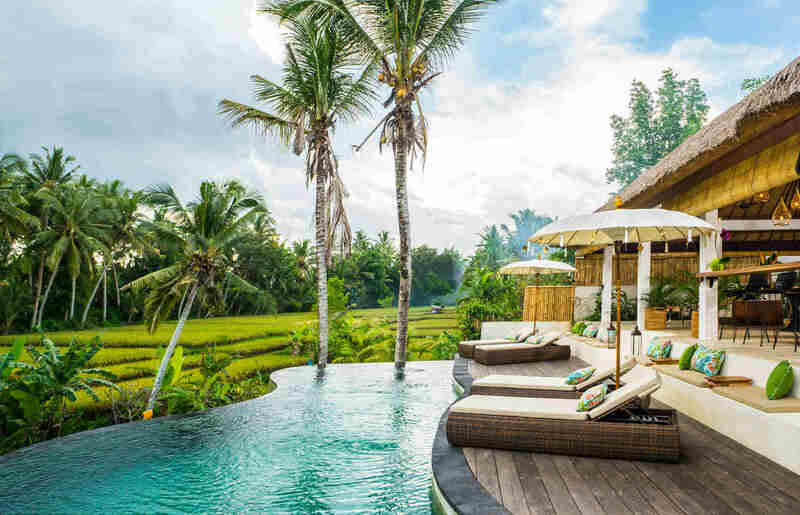 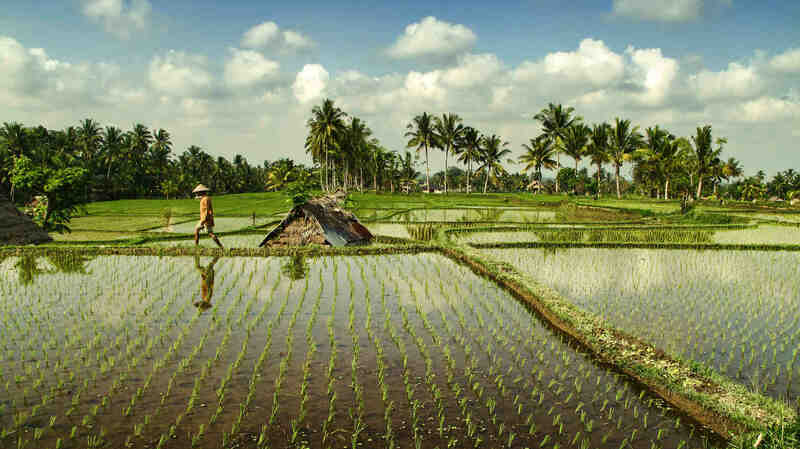 Once Bali’s artistic and cultural heartbeat, Ubud has evolved into a bustling cosmopolitan town that attracts travellers from all walks of life. 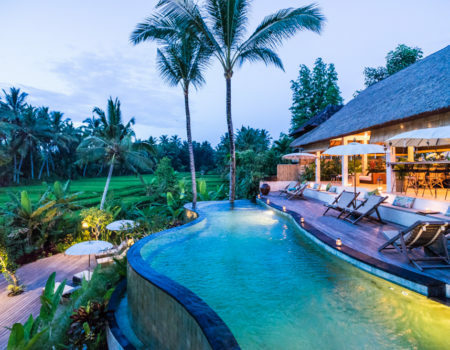 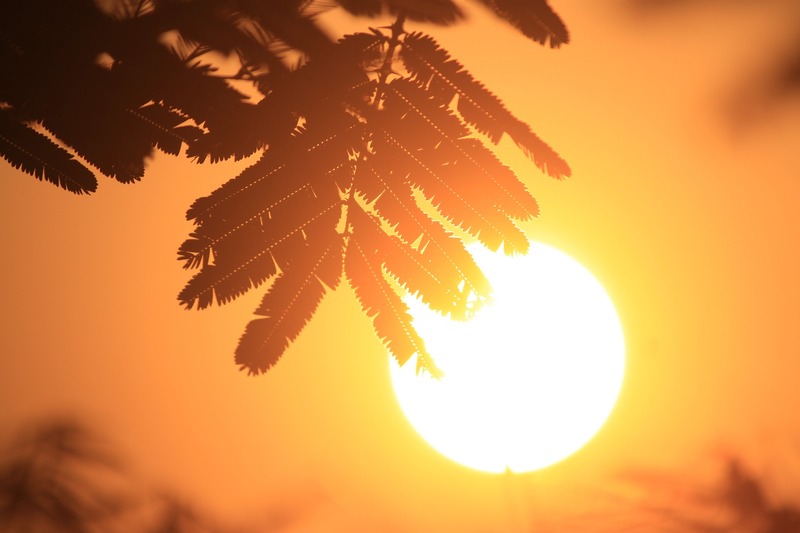 Ubud’s central location makes it the ideal base to explore Bali’s exceptional natural beauty and its many popular attractions: ancient temples, beautiful palaces, majestic volcanoes, sweeping beaches and unique UNESCO World Heritage sites. 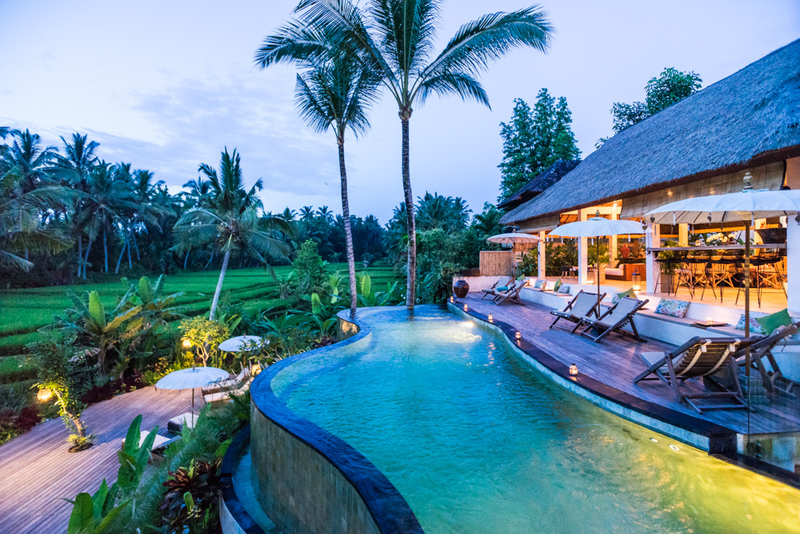 Calma Ubud is strategically located in the picturesque village of Tirta Tawar, where you can still observe the traditional Balinese life: farmers cultivating their rice fields, women balancing impressive offerings for the gods on their heads and the elderly socializing with other cockfighting enthusiasts over their prized roosters. 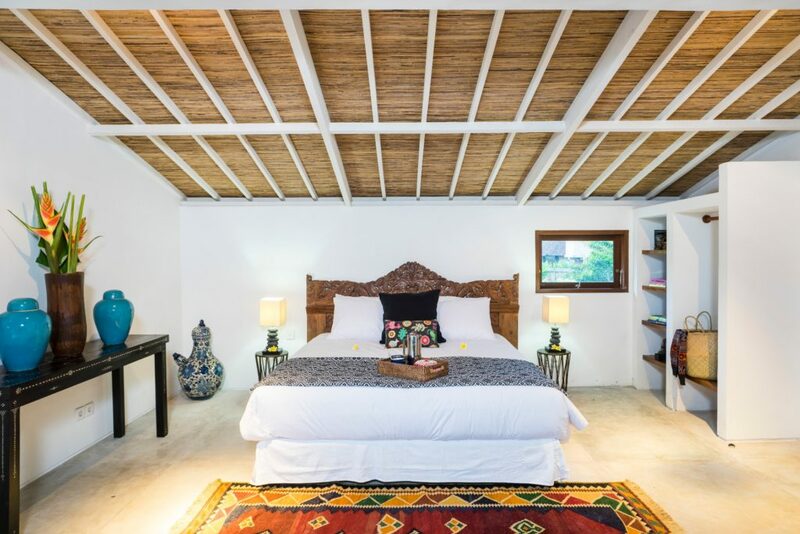 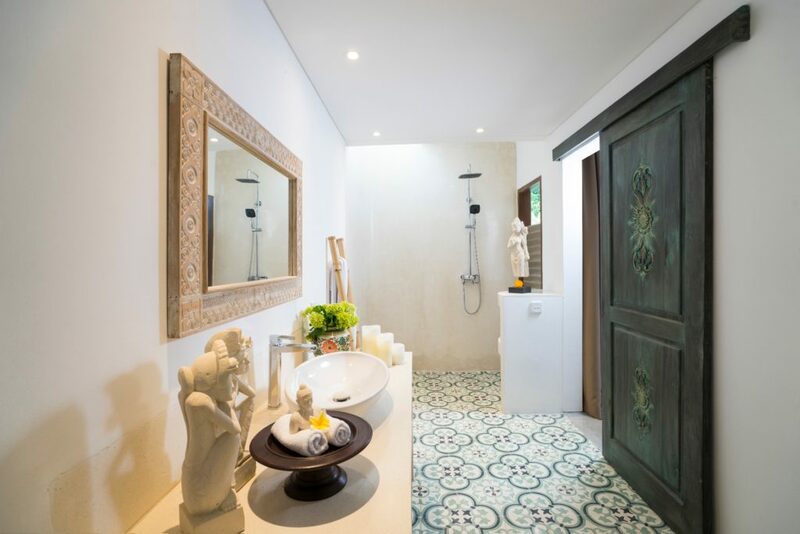 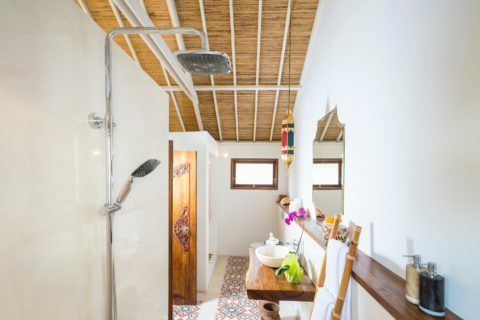 Calma Ubud is a cool respite and an oasis of calm to come home to after a full day in town. 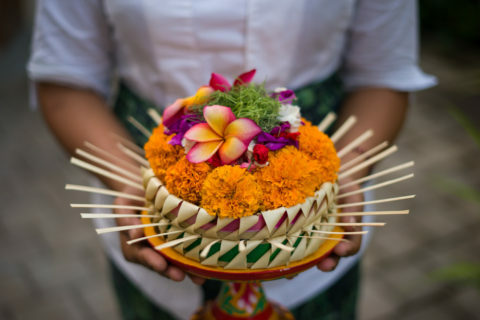 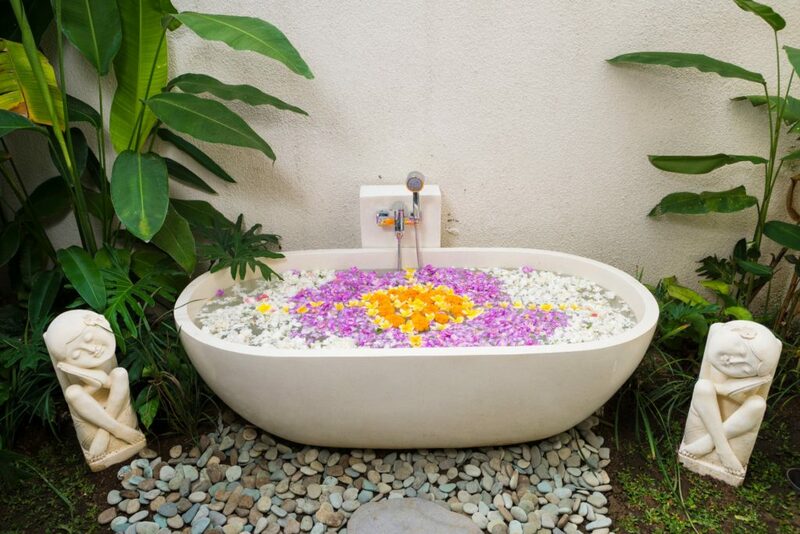 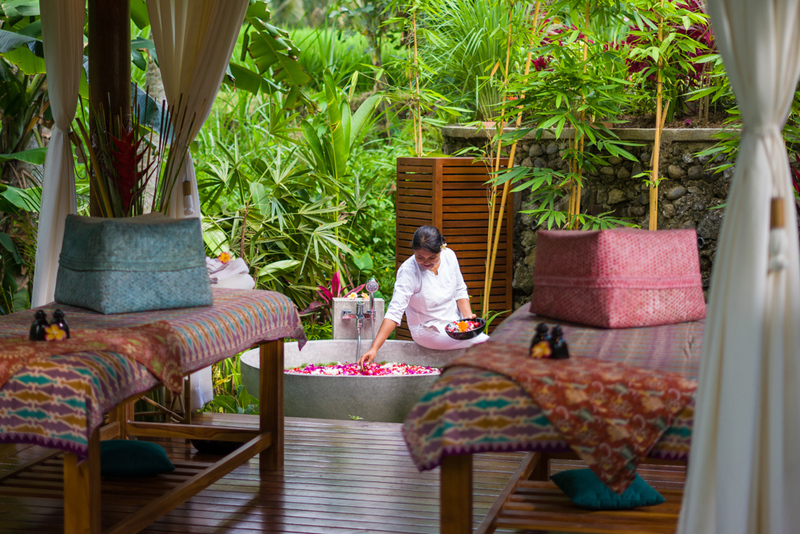 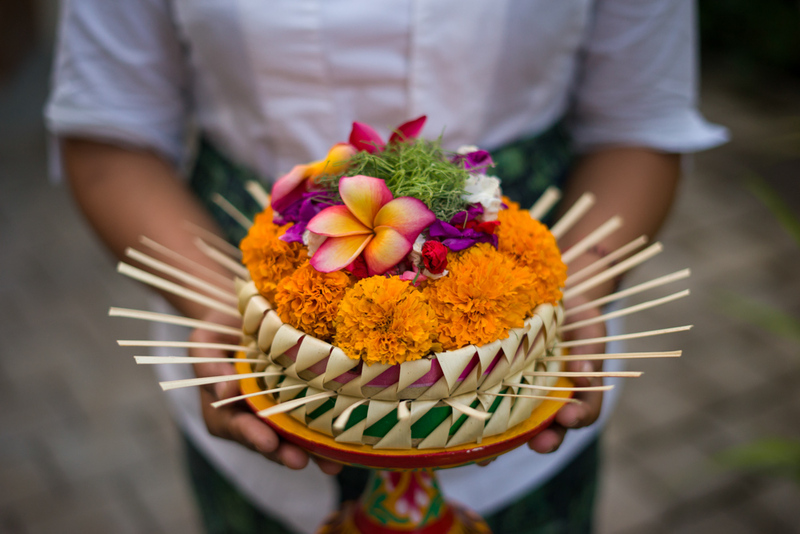 At Calma Ubud, we love to go that extra mile to make you feel at home. 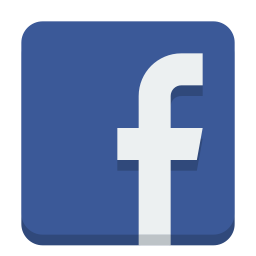 We offer a variety of complimentary amenities and services to all of our valued guests.